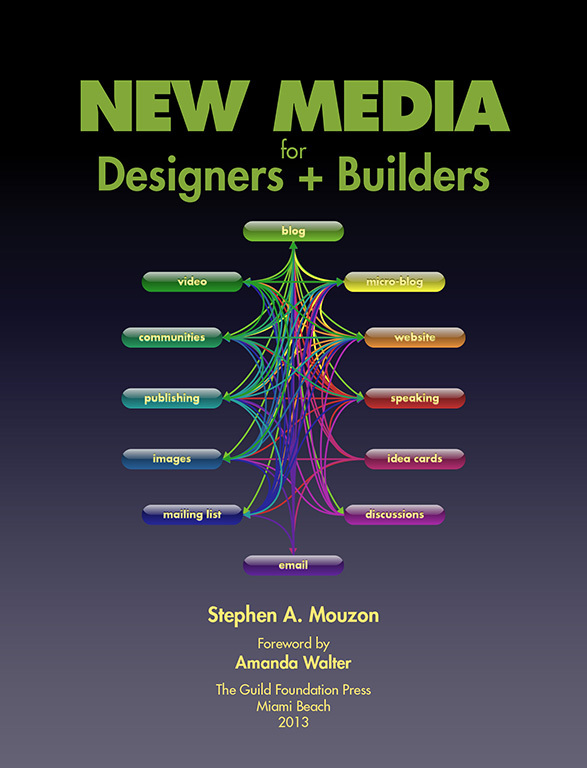 I was contacted three weeks ago by architect, author (and more) Steve Mouzon who asked if I would like an advance copy of his forthcoming book, New Media for Designers + Builders in exchange for publishing a review on the launch date September 27th. As I work with designers and builders, the title appealed to me and I said yes. …anyone who designs: Planners, architects, engineers, landscape architects, interior designers, and other creatives. It’s also for anyone who builds: developers, contractors, homebuilders, and tradespeople of all stripes, plus allied disciplines like real estate. In short, it’s for those who work more often in the world of bricks-and-mortar than clicks-and-orders. I’ve saved some quick thoughts and observations over the last few months which individually aren’t worth a full blown post but as I’ve taken the time to observe these things, they’re collectively not worth ignoring…right? I took a sociology class in high school and we spent time on Death and Dying. So many years later, I think Elisabeth Kübler-Ross missed the mark. The five stages of grief are not Denial, Anger, Bargaining, Depression and Acceptance. I heard someone the other day get frustrated with a wireless signal drop and complain about a “First World problem…” That got me thinking…I’ve heard of Third World countries, but why don’t we ever hear about Second World Countries? Is there just a leap from third to first? If not, where are these middle tier countries? Wiki says the term has fallen out of favor after the end of the Cold War. Hmmmm. …you’ll remember none of this. After last night, when I opened the shutters ever so slightly to the pain I’ve been feeling, the only therapist I trust and believe in (that would be Andrea, who knows all too well that I don’t think therapy works…for me…kind of like hypnotism) helped me realize some of why I was hit so hard by the fire. And, despite less than four hours of sleep, I was past the crisis. So…how can a guy go from doom and gloom to “I’m Okay, You’re Okay” – can’t resist the reference to the pop psychology pseudoscience from the 1970s – literally overnight? (Note the appropriate use of “literally”.) Well….I guess I needed to get the hurt out and I needed Andrea’s take on my position in all this. Sidebar #1: To be a good Navy officer, one has to be able to make instant decisions based on the data available at the time. You may never be called on to make a life-or-death decision, but you must be able to. I’m not in that position now, but I often make very quick decisions on projects…because I can. Me: …why we should do what I’ve decided to do? Now, perhaps not obviously, I take the appropriate amount of time to consider really important decisions, but I have a pretty good sense of when to use my “close enough” analysis. In this case, things came together and a switch flipped, and it’s not the first time that’s happened. He banged his knee on the same chair the next week. This morning, the flipped switch corrected my outlook. I won’t diminish what I went through, and might still have to work through. Sure, I can’t forget, but I don’t have to think about it, right? But, I have enough information and I made a decision, and that decision was that I wouldn’t let the past month stand in the way of the positives. And there are and will be positives. Andrea edited English manuals for Samsung products and worked with one of their graphic artists to design it. The van was how people knew us in Korea (custom vans were rare and often used by celebrities instead of limousines.) As there doesn’t seem to be a coat of arms for Razinha, let alone the hybrid Razinha-Davis, we made up our own with emblems of things that were important to us: the Navy, music, books and animals/pets. The “Live Well-Laugh often-Love much” quote was on a plaque in our kitchen and Rufus Choate just happened to say something that we hold true. As I said, I retired in 2003, but the Navy will always be a part of who I am. As for the others… they were ripped from us on July 31st. The van? Destroyed. 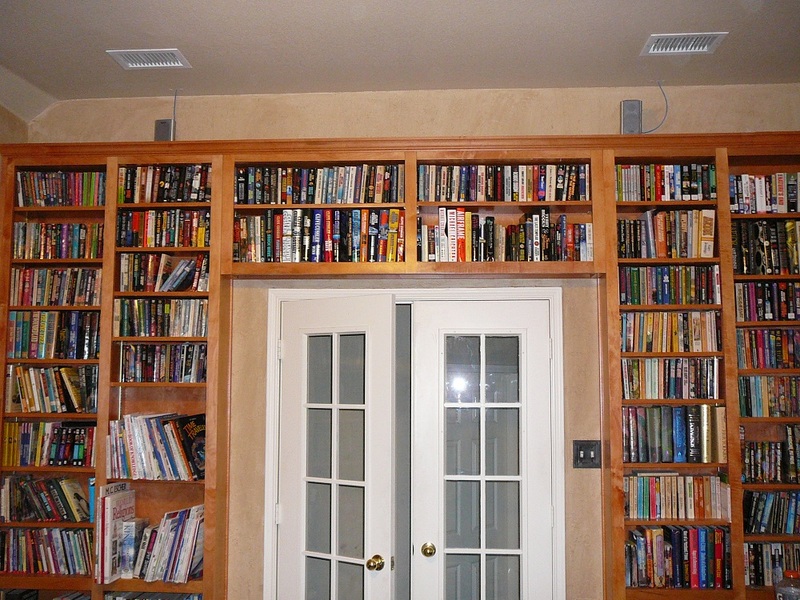 Our personal library of 5,800 books…gone. Guitars, basses, drum kit, baby grand piano…gone. Our dear, sweet cats….so much more than symbols on a coin. 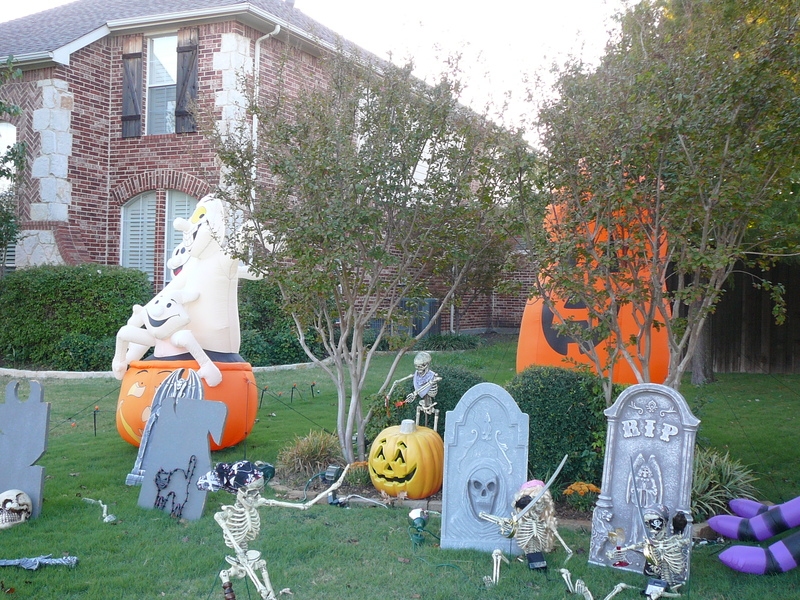 I spent years building, creating, arranging, tweaking, adding to our admittedly WAY over the top display. I even took precious time away from studying for the Professional Engineer exam in 2010 to set it up because it’s such a part of the family tradition. While Andrea’s art went in so many directions and grew so fast that I had a hard time keeping pace, this was a stable part of our lives that I considered my art. Right now, I don’t know how I can start over. It’s like taking ten years off from the gym and thinking, “I can bench press with the same weight I remember I used last time, right?” How can you go from super huge to a couple of skeletons and gravestones? Still reeling. And that doesn’t even scratch the surface of all the things we lost. These are words I’ve heard lately from several people. All said, I know, with sincere concern for me. I can forget a ton of things, but for me to “deal with” and “get past” so I can “move on”, I’ll have to wall off those memories of things that can never be again so that I don’t think about them because I can’t forget. The saying goes: Time heals all wounds, but the podiatrists know that time also wounds all heels.